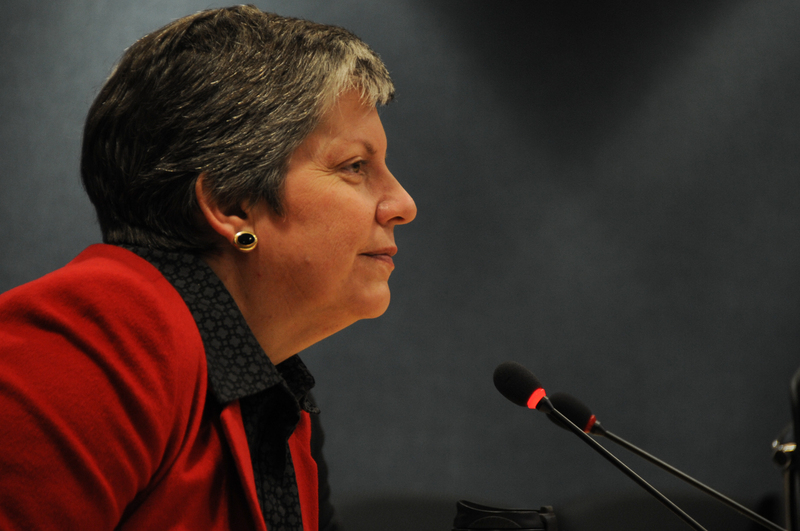 U.S. Secretary of Homeland Security, Janet Napolitano, gave farewell remarks today, as she steps down to assume her new role as president of the University of California multi-school system. A section of her remarks took the form of an open letter to her successor, where she laid out the challenges and opportunities that the next Secretary will likely face. Part of that open letter included an emphasis on the risks of climate change. And you will face new challenges that we have begun to address but that need further attention…You also will have to prepare for the increasing likelihood of more weather-related events of a more severe nature as a result of climate change, and continue to build the capacity to respond to potential disasters in far flung regions of the country that could occur at the same time. Secretary Napolitano also emphasized the need to focus on “risk-based intelligence,” and “science and technology research,” which are important avenues for addressing the effects of climate change on the U.S. homeland, among other security risks. Secretary Napolitano’s comments build on recent actions by the U.S. Department of Homeland Security. These include the incorporation of climate change in the 2010 Quadrennial Homeland Security Review Report, in FEMA’s Strategic Foresight Initiative (which began in 2010), and a recently announced decision to include climate change adaptation in DHS’ National Infrastructure Protection Plan (or NIPP). By Caitlin Werrell and Francesco Femia in climate and security on August 27, 2013 . Everybody in the government seems to be talking about climate change as they exit, but not while they’re there. What are we to make of this? I think they’re stymied by vested interests and don’t know how to get around them while retaining their insider status. Some leader is going to have to make a personal sacrifice, risk their position, and take on the powers that be. To be fair, Secretary Napolitano did indeed talk about climate change during her tenure as Secretary of Homeland Security, and as mentioned in the blog, DHS and FEMA have made concrete strides towards addressing the homeland security implications of a changing climate. More needs to be done, of course, but the foundation is there.